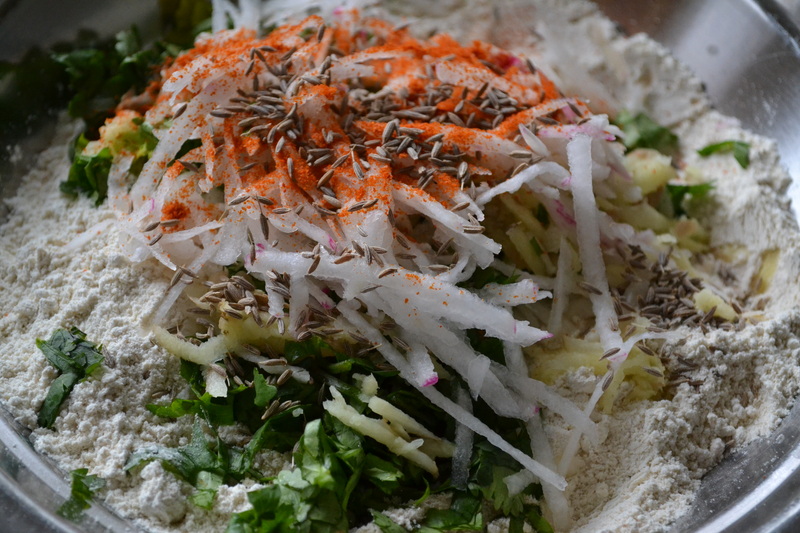 There are many different kinds of fermented foods, there is sourdough bread popular in many cultures ( the sourdough culture is passed on from one generation to the other !!!). 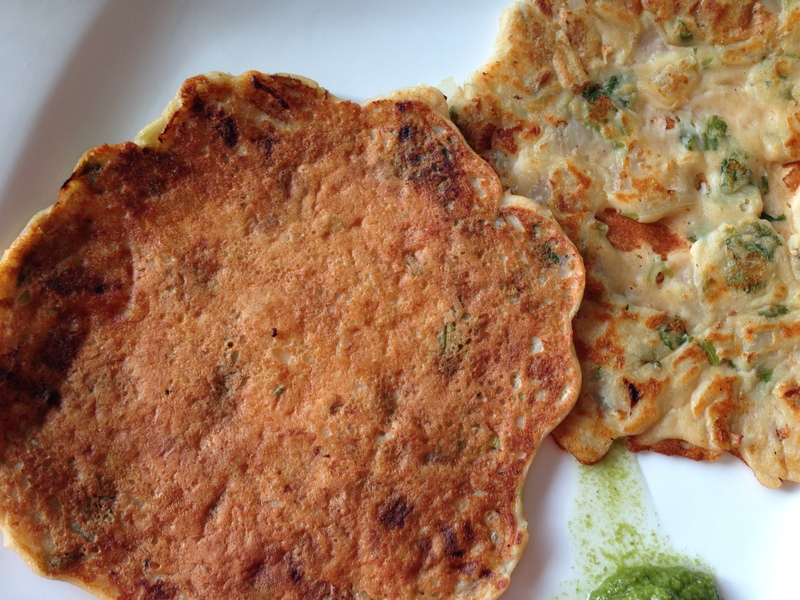 There is naturally fermented pickles popular ones like saurkraut and Khimchi, then there are a variety of fermented dumplings and crepes from southern and coastal part of India. All the foods are sour but they are made so naturally and not because of added vinegar or yeast. And off course not to forget our everyday natural, plain yoghurt. All these foods have a strong taste and smell so it is an acquired taste but the health benefits far outweigh everything else. 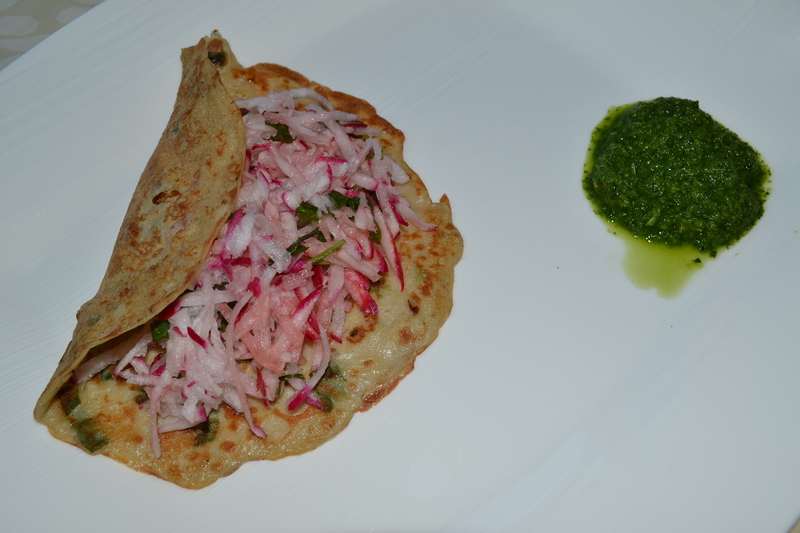 I must say though I love them all be it my homemade yoghurt, saurkraut, khimchi or the Indian crepes called Dosas. 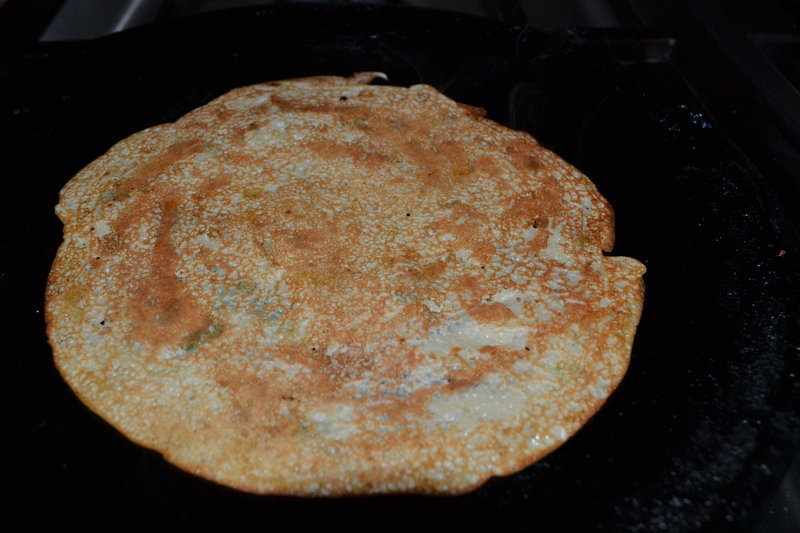 The crepe or the dosa that I have made today is made of lentils but tradionally not fermented. 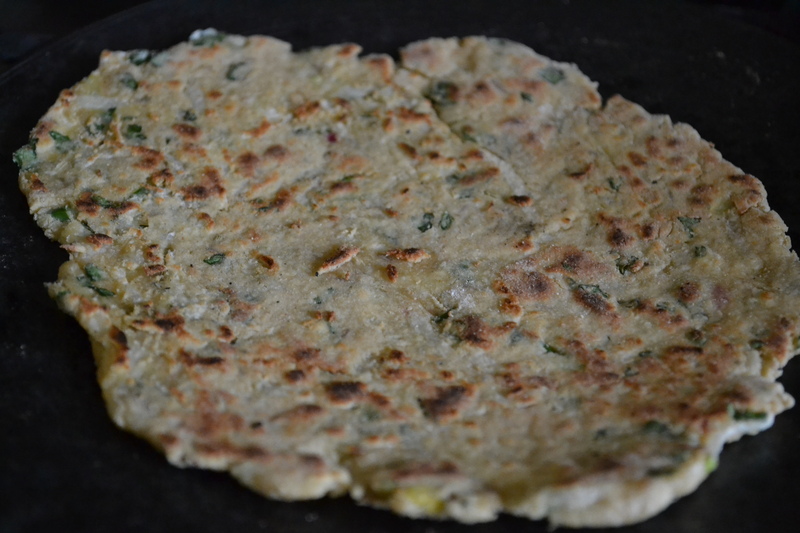 I improvised it by fermenting the traditional “Chilla batter” made by grinding yellow mung bean lentils to make it healthier and a great alternative for people wanting to avoid grains or eat high protein foods. 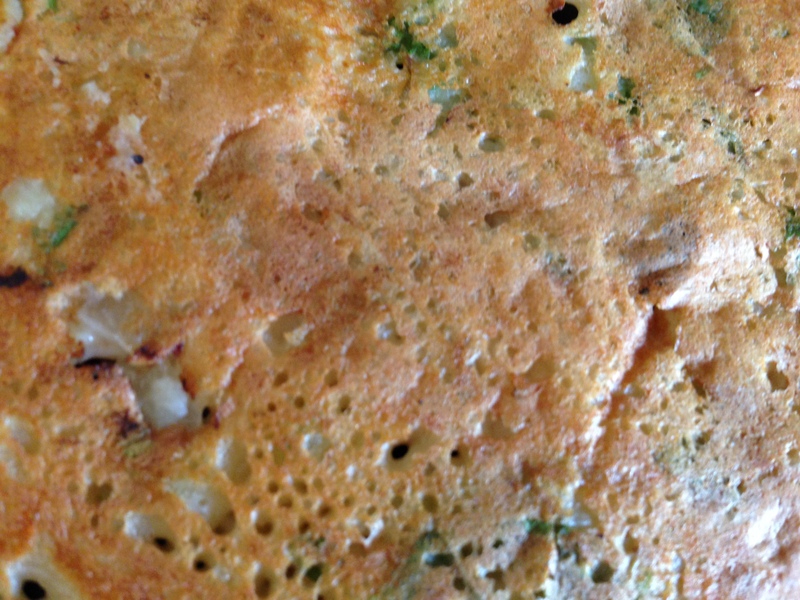 Fermenting the batter makes it probiotic rich and also the taste has more depth and character to it. In the above mentioned foods which have been fermented naturally, the natural bact- eria feed on the sugar and starch creating lactic acid and also in the process creating B- vitamins, beneficial enzymes and different strains of beneficial bacteria. Modern convenience driven culture has driven people away from the traditional healthier preparation of foods. A concious effort needs to be made to change this and revive these time honoured methods before we lose them completely to sugar and salt laden foods made in the “Plants”. in short fermented foods improve digestion, increase the nutrients, boost the immune system and to top it all up increase the shelf life. 9. 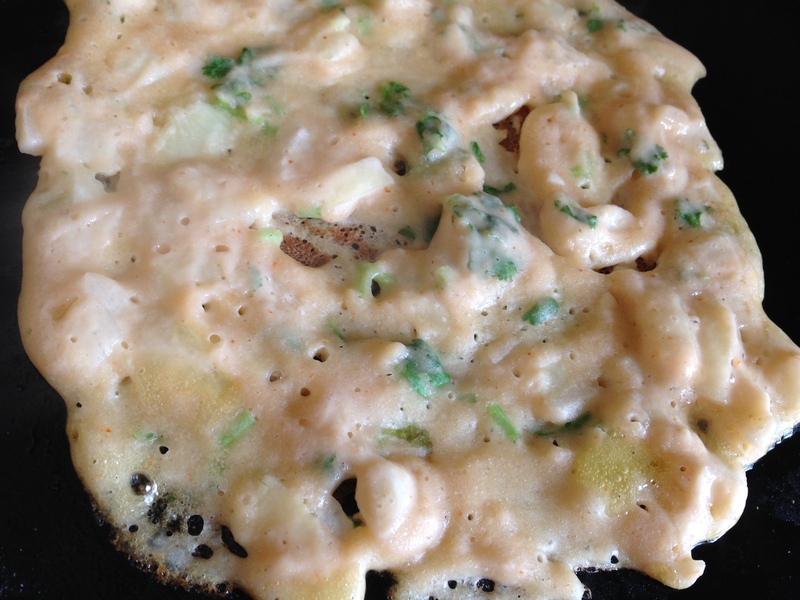 Heat a cast iron skillet or a non stick griddle. Meanwhile stir the batter well . It should be velvety smooth. You may have to add water if it is too thick but make sure it is not runny. 10. And put a spoon full of batter onto the heated griddle and spread the batter in a smooth and a swift manner in a circle as you would a pancake. 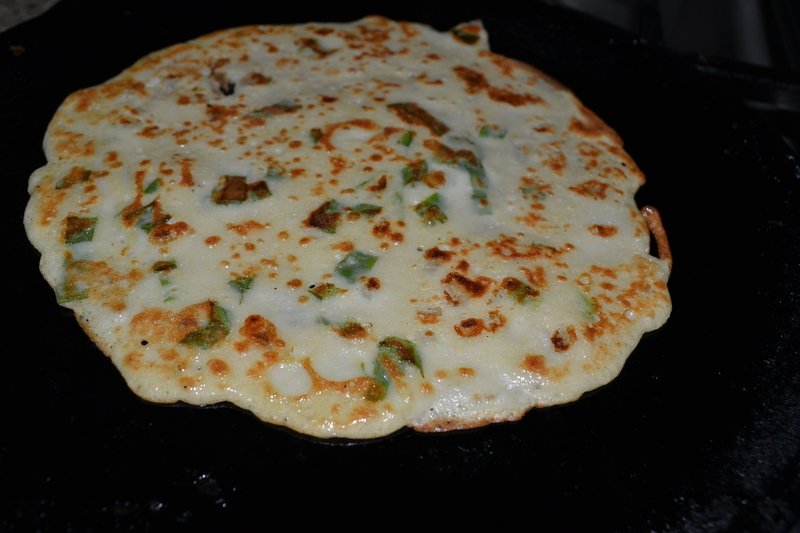 Put a little ghee or a oil around the crepe.The heat should still be medium or medium low and not too hot. !2. The crepe is now ready. 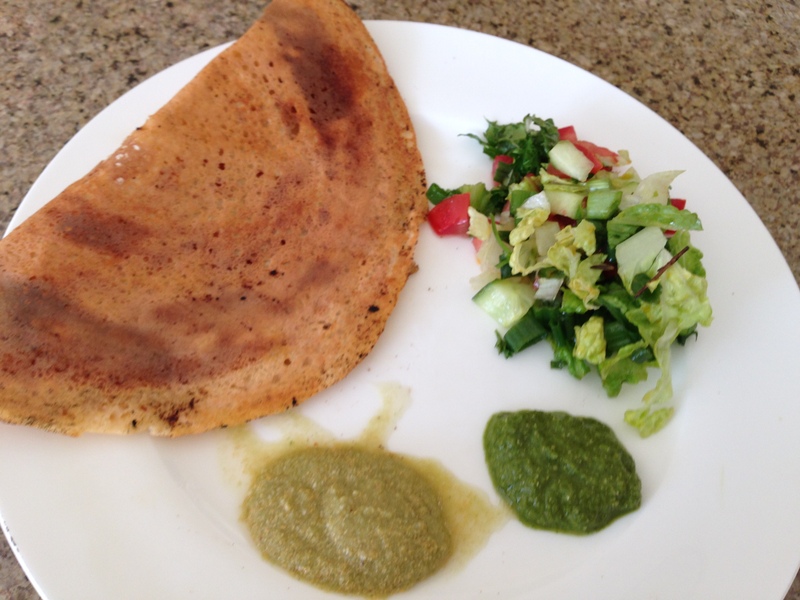 You can serve it with a green coriander chutney or a coconut chutney and a salad. 13. Enjoy!!! 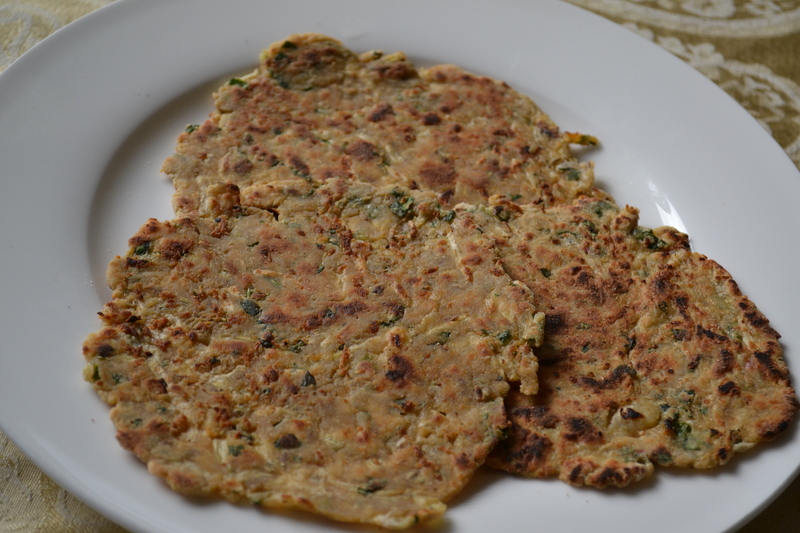 can be enjoyed for breakfast , lunch or dinner. 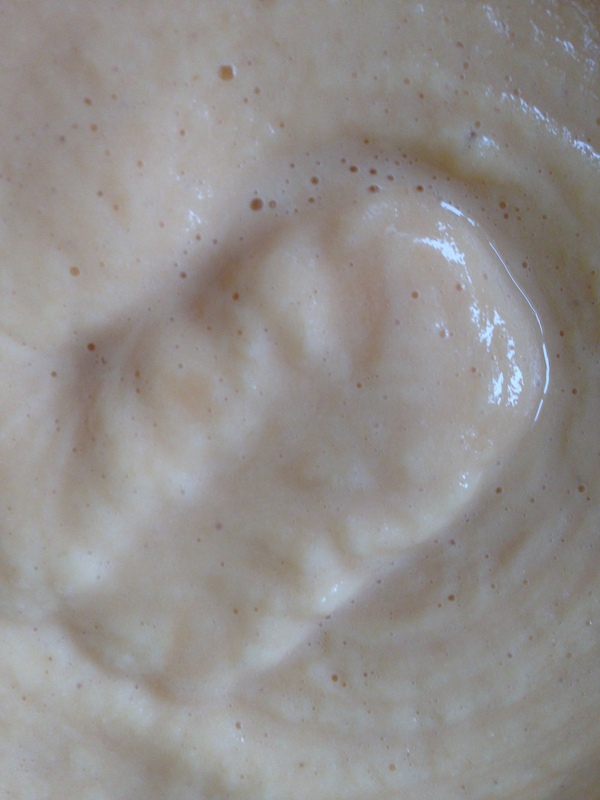 This batter can be stored for 5- 6 days in the fridge. QUINOA GRANOLA EASY BREEZY Gluten Free !!!!! 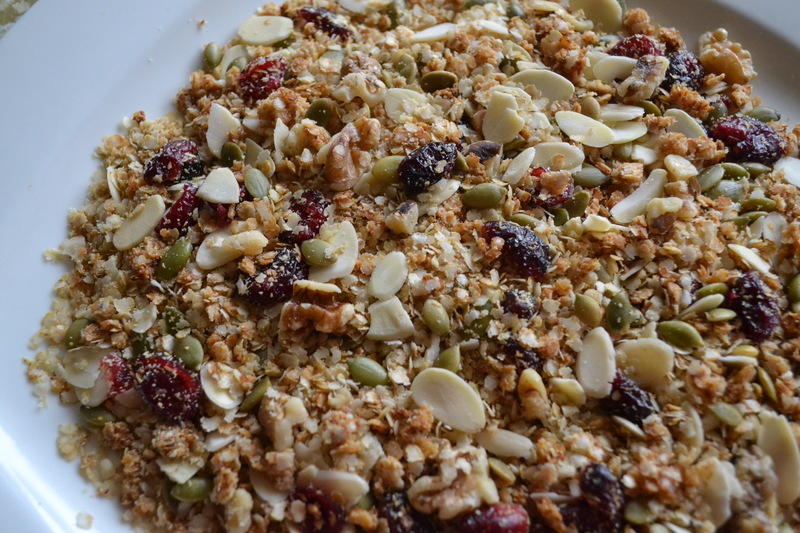 I bring to you today a very easy but delicious gluten free granola recipe. Honestly you might find like me that you prefer it over the the regular oats granola. Try it and as usual always look forward to your comments and feedback. 1/2 cup mixed nuts cranberries, walnuts, almonds, pecans etc. 1.Toss all the ingrdients well except nuts and spread on a greased metal tray or a non stick baking tray. 2. Bake at 250 degrees F convection setting for 30 – 35 minutes mixing it every 5- 7 min. 4. Once it is cool mix the nuts. 5. Enjoy!!!! 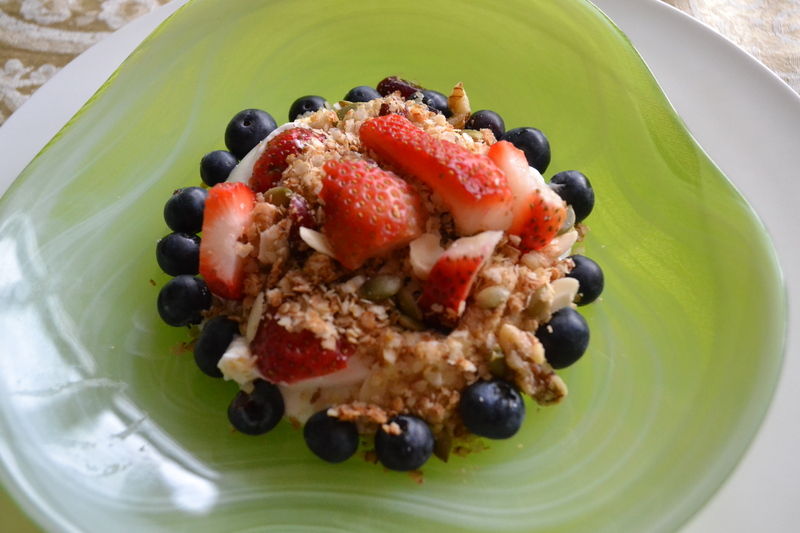 Eat as a snack or have with vanilla greek yoghurt topped with fresh berries for a decadent healthy breakfast. 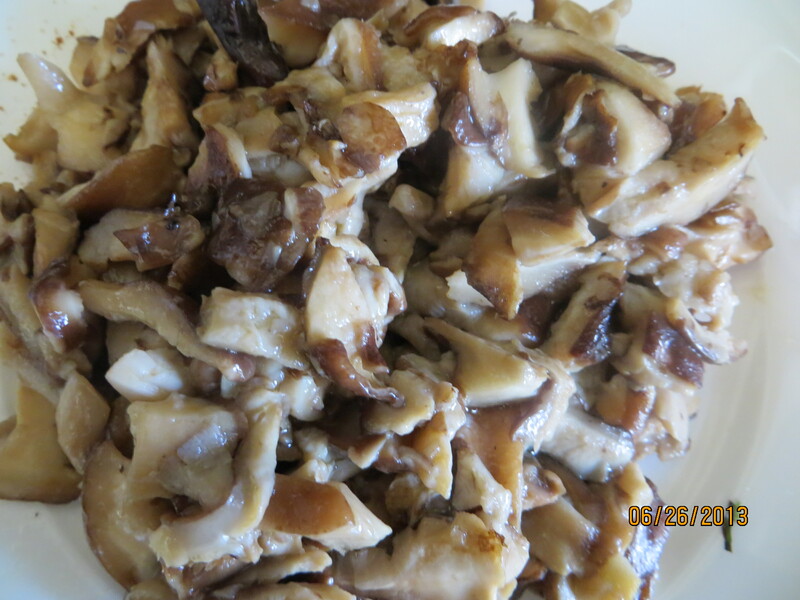 An immunostimulant Lentinan derived from these mushrooms has been successfully used to treat many degenerative diseases like Cancer, AIDS etc. Clean and wash the mushrooms well making sure all the dirt is removed.Not many chefs approve of this practice as they feel mushrooms soak up lot up of moisture and become soggy therefore just brush the dirt off. After having a “gritty” wild mushroom soup in a fancy restaurant in Sedona (Arizona) I would definitely recommend washing.There are ways to cook so that mushrooms are not soggy. You may even pat them dry on paper towels to soak up the extra moisture. Heat 1 tbsp. of ghee in a cast iron skillet and saute’ the mushrooms and garlic till they are sizzling ,aromatic and golden ( 5- 7 minutes ). 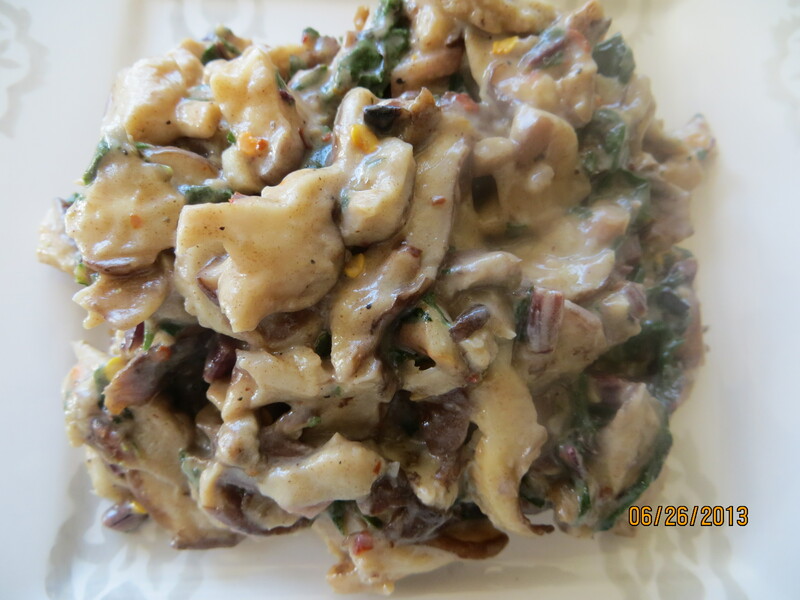 I find in a cast iron skillet mushrooms are not soggy and hold their shape. 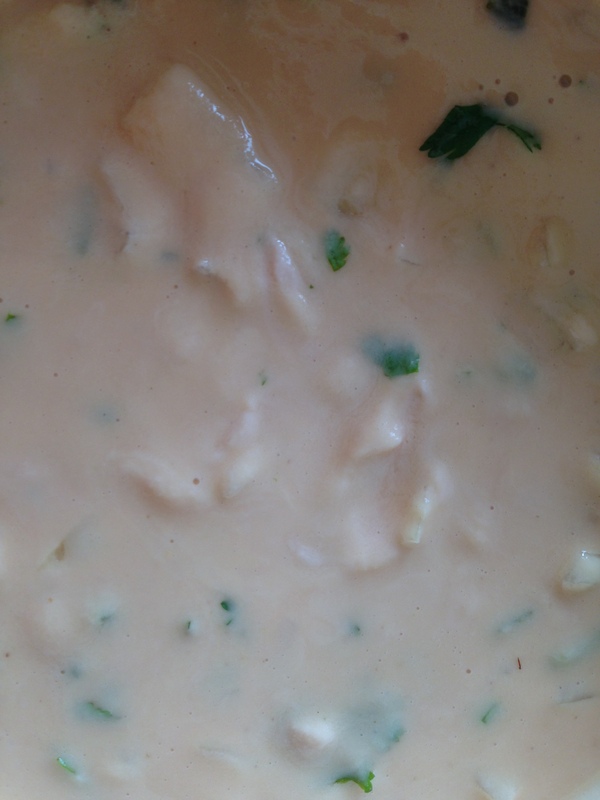 Prepare the sauce follwing the recipe in the previous post (Brownish Red white sauce). In a separate pan or same skillet saute the beet greens for 5- 7 minutes till cooked tender crisp,add green onions towards the end. 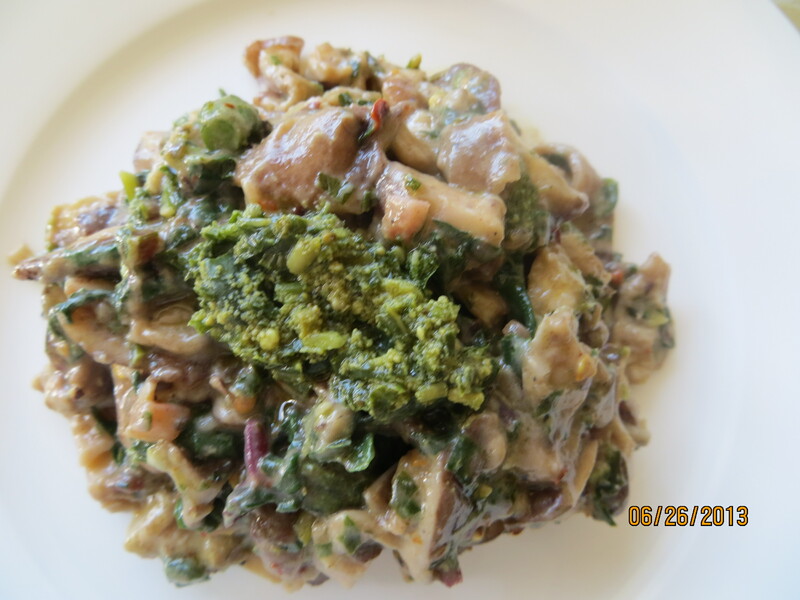 Once the sauce is ready add the mushroom mixture and beet greens and jalepeno , salt and black pepper. Preheat the oven at 375 degrees fahrenheit and spread 1 tbsp. 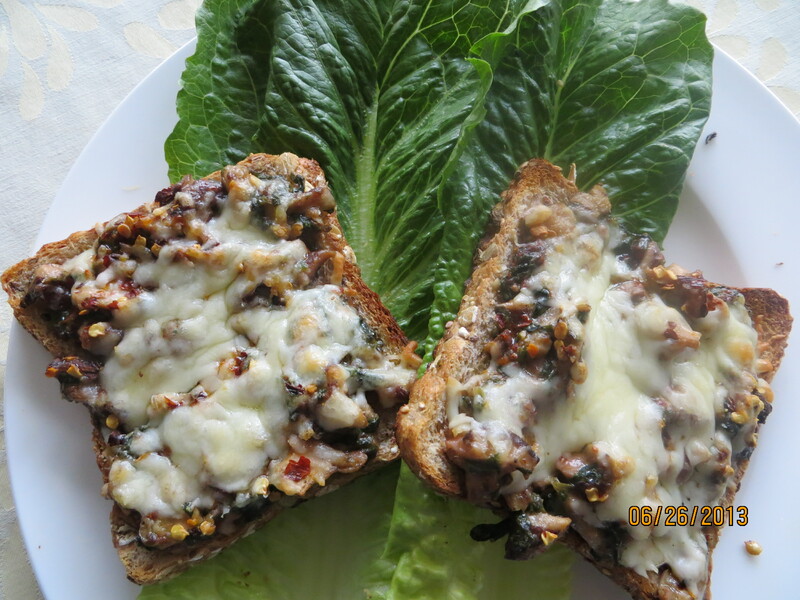 of the mushroom mixture and grated cheese on each slice of bread and bake in the preheated oven for few minutes till crisp and golden. 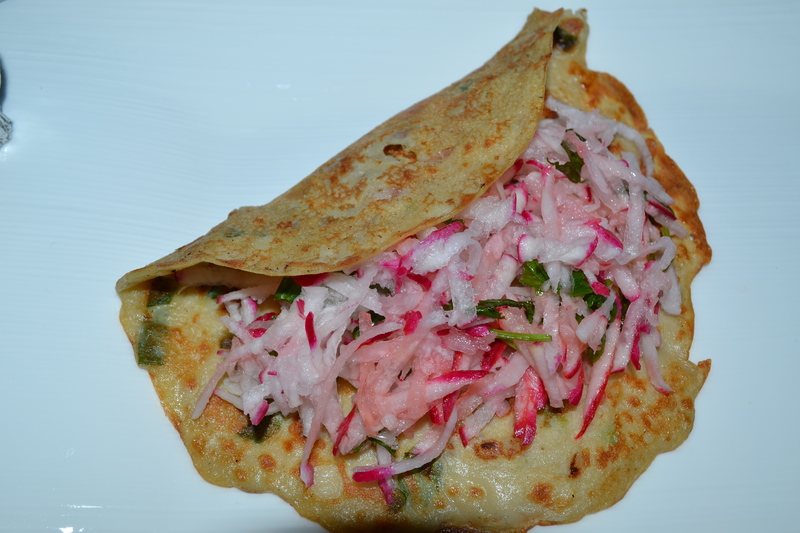 Serve with a green salad and ENJOY!!!!! This recipe is a contribution of my friend Louise. 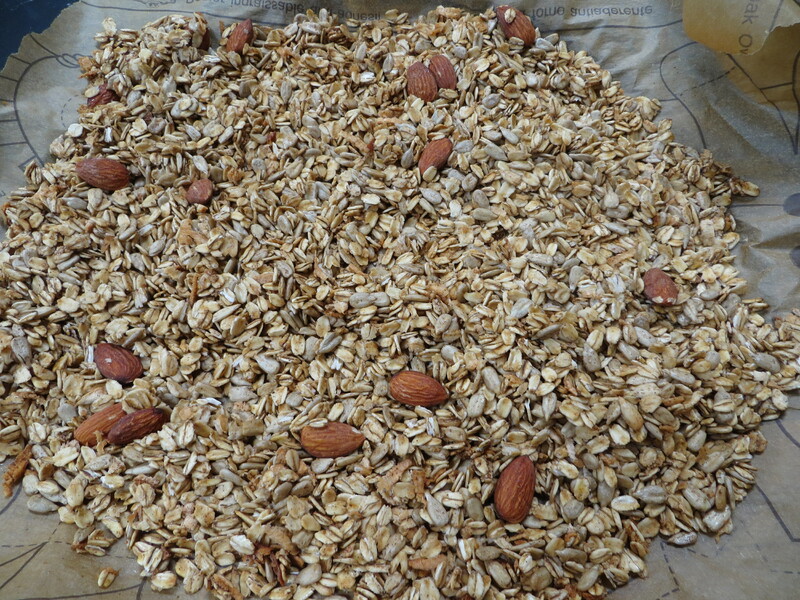 A delicious very aromatic granola. Eat as a snack or serve with homemade yoghurt for breakfast. 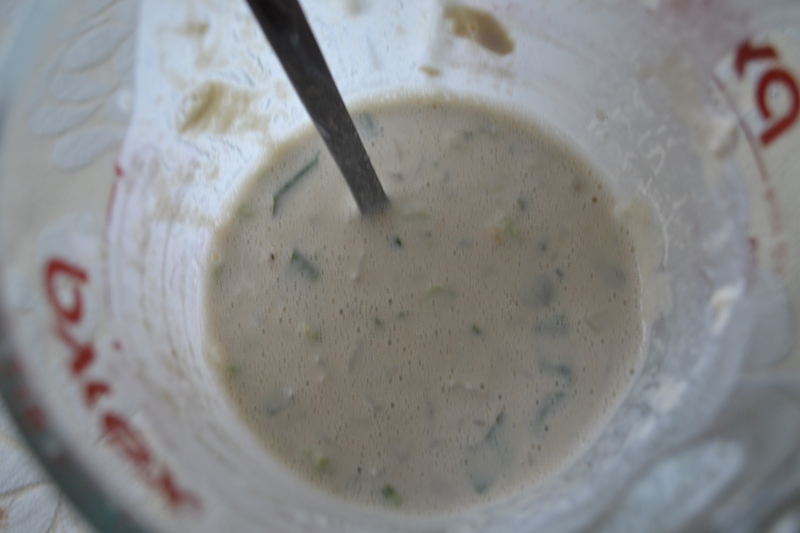 2) Warm liquids gently and add to dry ingredients mixing well. 4) Bake in a 250 degree oven for one hour stirring every 20 minutes. 5) Let cool and then store in a glass container.